I have just had my annual vacation to northern England and spent a good deal of time walking the hills and dales of Lancashire and Yorkshire. I always like to find something different than I've found before and one thing I found on this trip was something called a clapper bridge. I didn't know what a clapper bridge was but found out it is a large stone used as a bridge over a beck or stream. I took the following photograph of one called clam bridge. 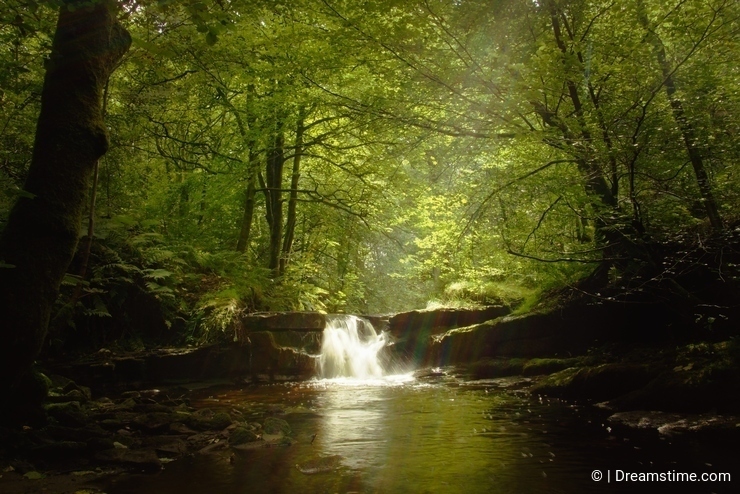 It is located a quarter of a mile along the track that runs beside the beck in Wycoller Dene near Wycoller village. This ancient bridge is formed by one single Gritstone slab which is some 12 feet long. 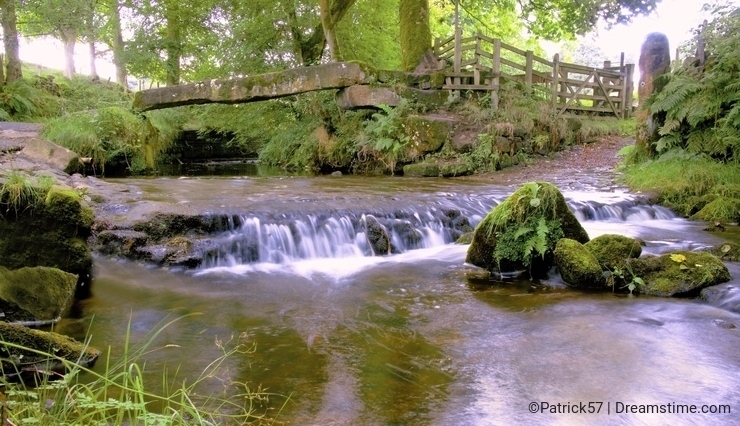 It rests at one end on the bank, while on the other side it is propped up on some large stones, but it is very secure even though it might look like it is about to fall into the beck.The clam bridge is ‘often’ said to date from the Bronze or Iron Age and to have originally stood upright on the moors to the north east as a standing stone, it has probably been in its present position since the 16th century. I discovered with a little research that most of the clapper bridges have a story to tell going back centuries. I also stumbled across Gawthorpe Hall an impressive Elizabethan house which is now run by the National trust. The house was built in the 17th century and later on in the 19th century was visited by Charlotte Bronte who was a friend of the Kay-Shuttleworths who owned the hall. My personal favourite image of my trip is one of those photographs where you just happen to be standing in the right place at the right moment. I was standing in a stream looking at a small waterfall when the clouds broke and sun streamed through the tree's to light up the waterfall. Finally to finish an image of the 24 arch Ribblehead viaduct which is on the Settle to Carlisle railway line and was built in the 19th century. I would recommend to anyone a trip to northern Lancashire and the Yorkshire dales it has some excellent scenery and many interesting places. A very profitable vacation and interesting story, I specially enjoyed the explanation about the different types of ancient bridges, amazing rural wisdom. The fall image is simply superb! Thank you TheSlowWalkers, funnily enough I stumbled across the viaduct by accident but in general it is still quite an unspoiled area with excellent scenery and little nooks and crannies to explore. Nice blog Patrick and lovely photos to go with it. 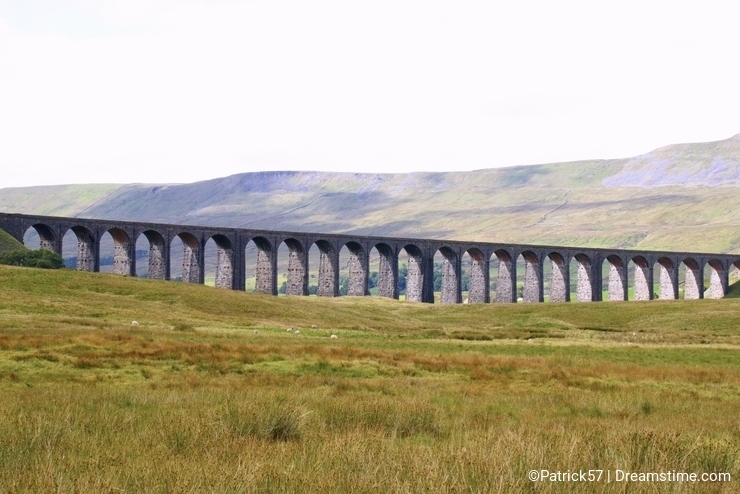 You've shown some not so well visited parts of England, Ribblehead viaduct excepting. Thank you William and Data, we have some wonderful places in the UK and it's great fun exploring! Some gorgeous shots and I really enjoy reading the travel journals. The clapper bridge is my favorite. Looks like some wonderful places to visit over there. One day!